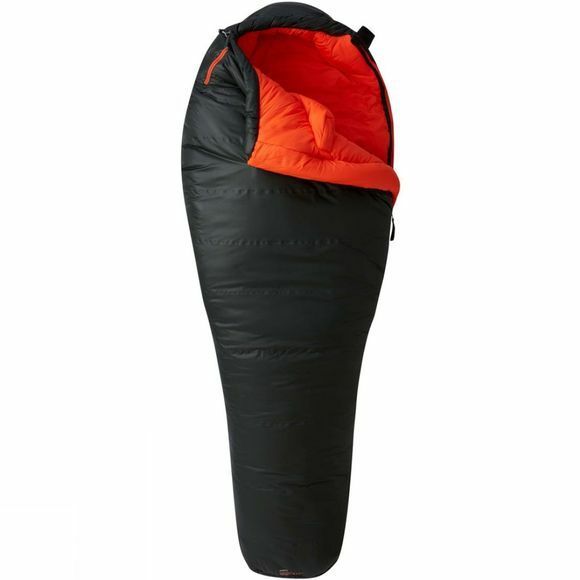 The Lamina Z Bonfire Sleeping Bag is a synthetic water-repellant bag made with unique Lamina construction for ultimate warmth. The Thermal.Q insulation is both compressible and durable. Welded Lamina construction enhances loft and eliminates cold spots. Soft polyester lining wicks away moisture and lightweight nylon shell repels water. Full-length durable #8 zipper has double sliders for ventilation.